Change the log file of User Import to "importUser.txt"
Simplify startup process for local database connection. New cheque template is provided. 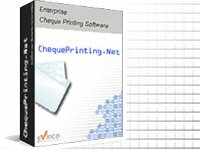 Cheque cannot be edited after printing. Duplicate cheque number is not allowed. Additional "Free Use" field is added to template. User can define its own field to fit the cheque. Extend the font list to all the machine installed fonts. Path of last open folder is saved to improve the convenience. Enhances the quality print out with buffering printing algorithm. Provides Import function to import cheque records from CSV file. Set Today as defaupdate_listt date in Payment Voucher. Provides field for Payment Voucher number. Provides options to store the defaupdate_listt value of signature box in Payment Voucher. Minor enhancement on User Interface. Provides "Prepared by", "Checked by", and "Approved by" box in Payment Voucher. Provides font color option for cheque print out. Provides printing element "Not Transferable". Shows "Printed" label on cheque. Give "Print Again" notice for second printing. User privilege is bounded with "Amount Threshold". User can only prepare cheque under the threshold. Logging supported. All the user activities are logged. System administrator can review the logging accordingly.